Meet the Atlanta zoo’s newest, cutest and laziest resident: a baby sloth. 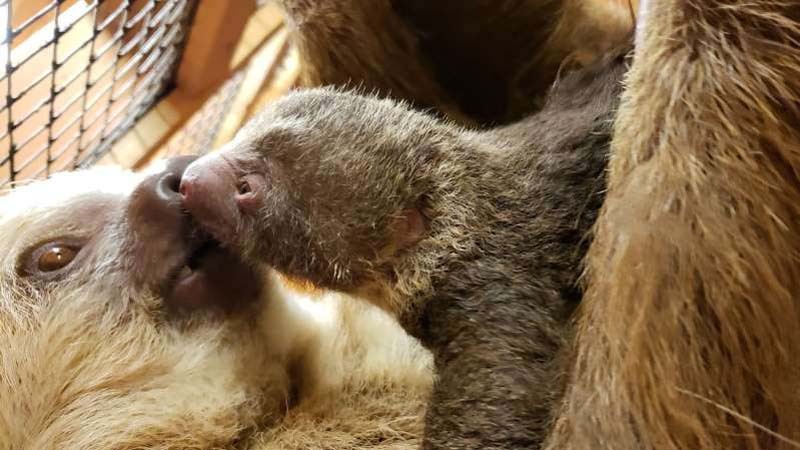 The infant is sloooooooowly bonding with its mom Bonnie, an 18-year-old Hoffmann's two-toed sloth, according to Zoo Atlanta. The father is 25-year-old male Cocoa. Sloths are famed in the animal world for moving slowly, but after a lengthy gestation period of up to 12 months, they actually develop quite quickly. They are born fully furred and with their eyes open. The newborns have teeth and are able to cling to their mothers with their claws. Infant sloths may continue to remain near their mothers for a year. No word yet on a name for this little cutie. It seems to be taking awhile.